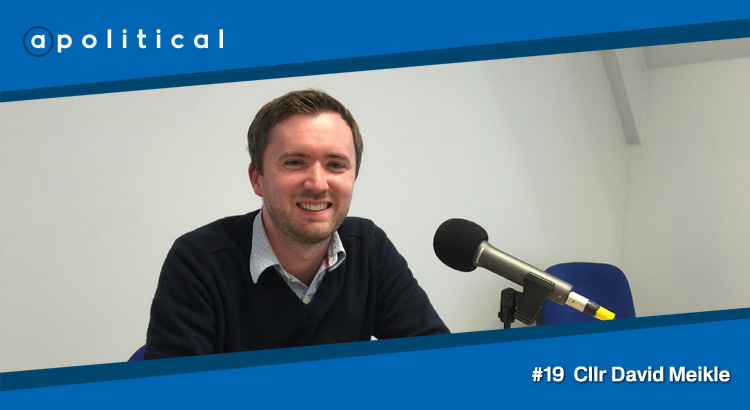 In Episode 19 of Apolitical we speak with Councillor David Meikle, the sole Conservative representative on Glasgow City Council. We chat about his political background; the Scottish Conservatives’ prospects at Holyrood; and the controversial tale of selection to the Conservative regional list for Glasgow at the 2011 Scottish Parliament elections. • Whether Scotland’s place in the Union is secure.